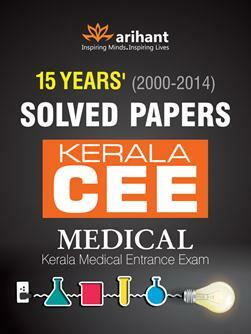 Kerala Engineering, Agriculture and Medical (KEAM) is a state level UG entrance examination conducted by the Commissioner of Entrance Examination (CEE) Kerala. Candidates must passed 10+2 examination with PCM (for engineering courses) or PCB (for all courses except engineering courses) . Candidates must secure minimum of 50% in core subject (Biology/Mathematics) and 50% in total aggregate. Examination will be consisted of two papers for the engineering and medical each. Each paper will comprise in 120 multiple type questions . Each correct will carry the four marks. There is the provision of negative marking and one mark will be deducted for each wrong answer. The duration of paper is 2 Â½ hours. Will you please tell about the eligibility criteria for appear in Kerala Engineering, Agriculture and Medical (KEAM) Common entrance exam (CEE) Kerala ?